Bootsnipp was created by Maks Surguy in September 2012, and is now operated by Dan's Tools as a repository of useful HTML snippets for web developers using Bootstrap framework. You can register to use Bootsnipp for free. You will be able to create snippets, favorite other snippets and fork snippets for free. The snippets you create will be visible by others but in near future there will be accounts that will allow you to make your profile private. How can I share my snippets? You can share your snippets in multiple ways. You can use the sharing buttons to share snippets on Facebook or Twitter. Also you can send a link to your snippet over email, the URL to the snippet looks like this : http://bootsnipp.com/snippets/hash where "hash" is the unique id of your snippet. Which versions of Bootstrap can I use on Bootsnipp? Obviously, Bootstrap and the guys behind it, @mdo and @fat! Thomas Park, creator of GlyphSearch. Bootsnipp has over 200,000 users! 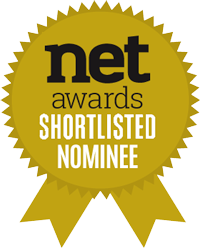 Bootsnipp has been shortlisted (top 5) for a Net Award in Side Projects category! Thank you for your nomination.